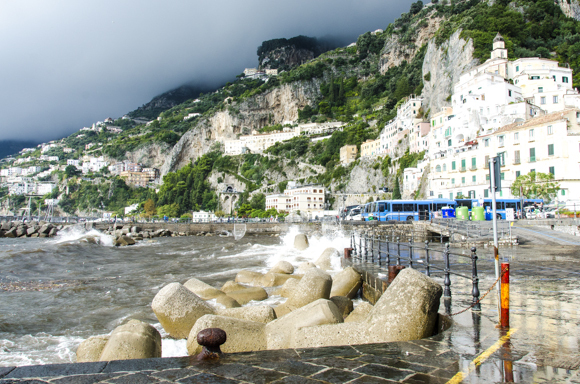 Rome, Sorrento, Capri, Pompei, Positano and Amalfi Coast. Upon arrival at Rome airport please proceed through the Passport Con- trol and collect your luggage inside the customs area. Transfer to the hotel. The rest of the day is at leisure to explore the Eternal City. In the evening, meeting at the hotel with tour host which will provide in- formation regarding the program and literature of the destination that are about to be visited and will offer a welcome cocktail and light dinner at 7.30pm. Overnight in Rome. After breakfast, Guided visit of Colosseo. At the end, stop for a lunch. In the afternoon, continue the exploration of Rome with Vatican Museum: the masterpieces of Greek and Roman ancient art, works of Raphael, Michelangelo and Caravaggio, the Sistine Chapel and St Peter’s Basilica. After the tour ends, return to the hotel by private coach. In the evening, enjoy a tasty dinner. Overnight in Rome. Today is free at leisure. Overnight in Rome. Early morning transfer to Sorrento. Sorrento and your activities in town. Tonight the dinner will be served in a local restaurant in the heart of Sorrento. Overnight in Sorrento. Today, visit of Capri with guide. Capri is an enchanting and picturesque island made of limestone rock. A “paradise of idleness” surrounded by the bluest of seas; the dramatically beautiful, flower-covered Island of Capri has been enchanting visitors for centuries. Return to Sorrento late afternoon. Overnight in Sorrento. Sorrento is an ideal location to discover the beauties of the region. Your tour host will provide you with a wide range of opportunities or you may reserve your excursion in advance via your travel agent. Overnight in Sorrento. Today enjoy the visit of one of the most intriguing coastline in the world. Amalfi, Positano, Minori, Vietri… The small houses all huddling on top of each other, breathtaking cliffs, lemon and olive trees, small beaches, the Saracen and medieval watch towers, the narrow roads make of this place a unique in the world, so precious to be listed in the UNESCO World Heritage. Enjoy the magnificent view of Amalfi Gulf from a relaxing ter- race, where you will pick up you own lemons from a lemon tree an pre- pare a cold lemonade. Return to Sorrento. Farewell dinner will be served in a panoramic restaurant on the hills of Sorrento. Overnight in Sorrento. Transfer to Naples Airport or Railway Station. From €1350, per person, based on double occupancy. Single room package from€2136 .